When I shared my WCS May gallery layout I said that I would post a short DIY post on how I made those "enamel" dots. So, here it is! 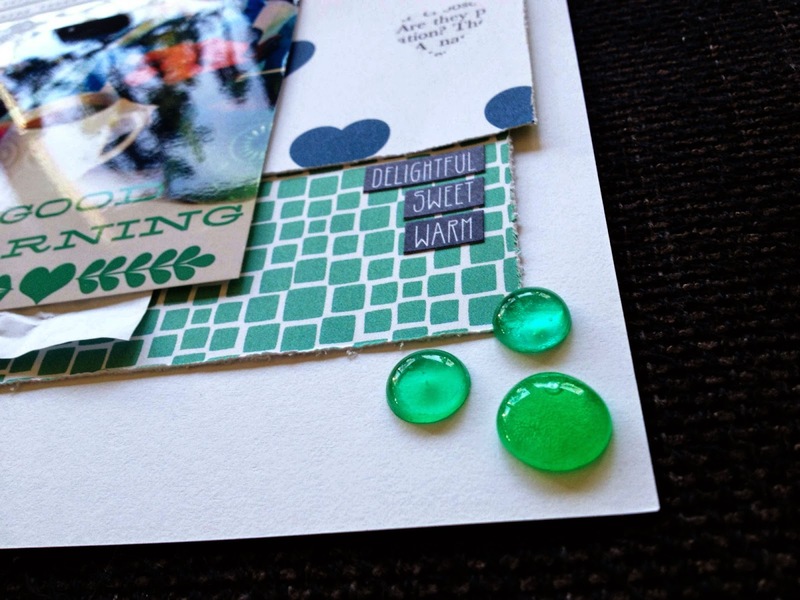 There are a lot of companies making enamel dots these days and I do use them frequently in both pages and cards. They can be a little pricey and I haven´t found a good place to get them near me. So that (and the fact that I love DIY`s) made me search out how to make my own. As a crafter I have all sorts of materials at home. 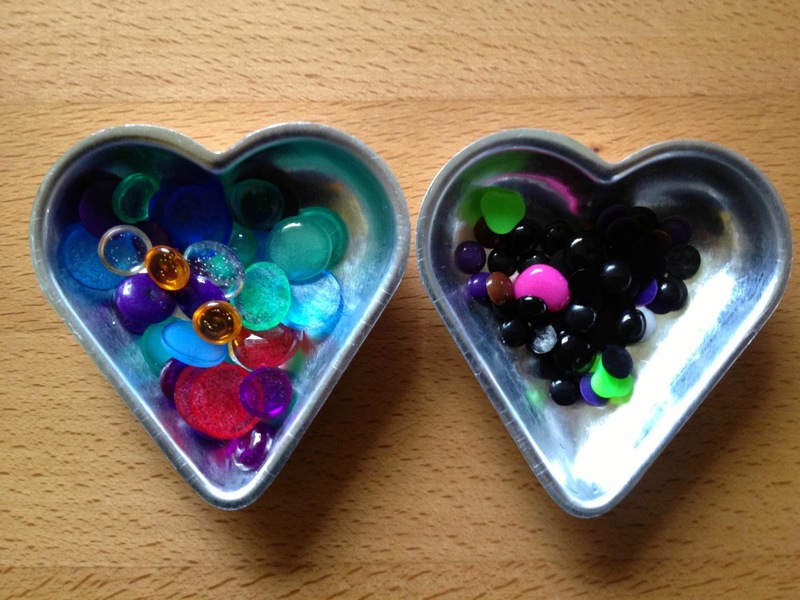 For this DIY I used different kinds of plastic beads. Both Hama beads and larger beads that my daughter made necklaces´ of when she was younger. As I was going to bake them in the oven, I laid them out on a sheet of baking paper and set the oven to 170 degrees Celcius (around 340 degrees Farenheit). After baking them for about 25 minutes, this is what I got. 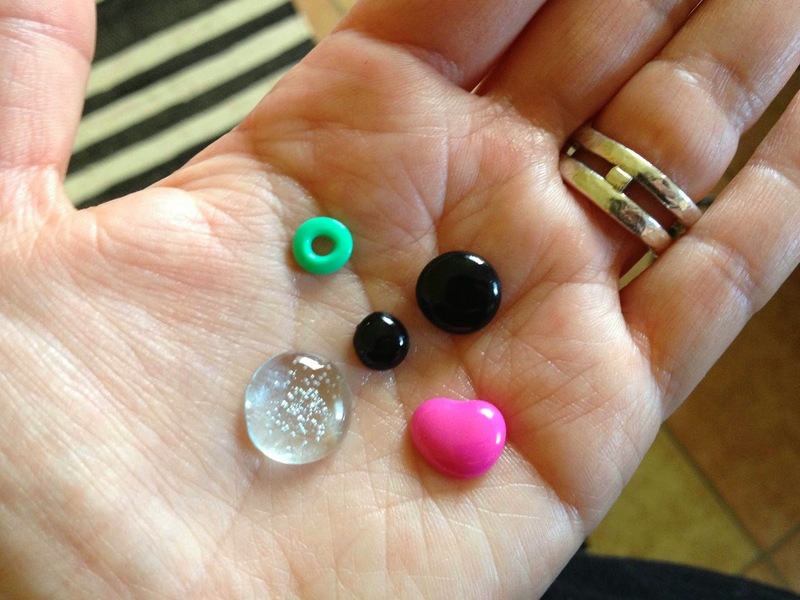 The different beads bake at different times I found. The Hama beads baked the fastest and shaped nicely. Yet, the more color they had the better they came out. You see the aqua one? That one just melted to a flat bead, but the black one was perfect. I decided to just put the ones not finished yet back in the oven until they melted enough for me. That would be anything from 10-20 minutes more. 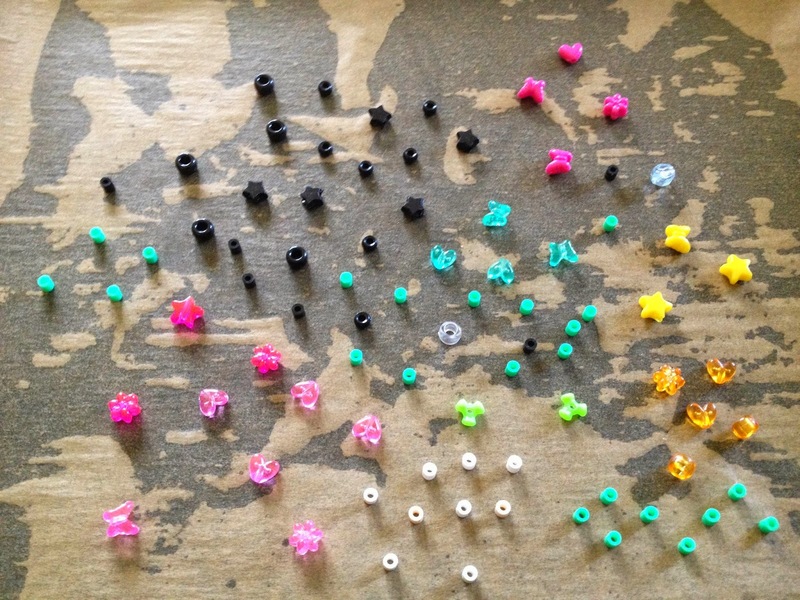 Here are the Hama beads to the right and larger plastic beads to the left. The left ones are so yummy since they are see through and has lucious colors and these are the ones I used on the layout above. 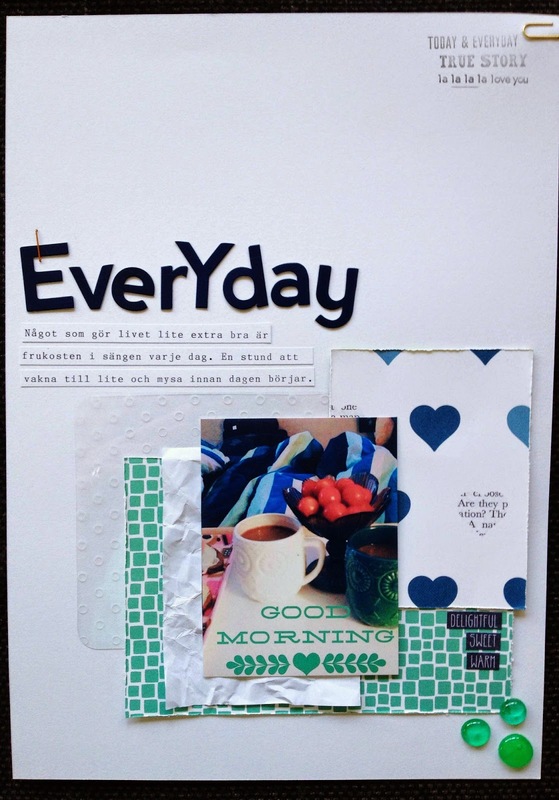 I am no expert obviously, but I found it fun to experiment and I have already used several of these in different projects! Have fun, don´t burn your fingers and open up a window!